Reading through the various Pro Tools forums, there are two commonly recurring themes. Firstly, Pro Tools users love Pro Tools software for its reliability, flexibility, ease of use, precision editing and it being the only audio platform that maintains sample accurate sync across all tracks in a session. Secondly, we’re not so enamoured of the LE hardware. The 002 and 003 ranges have been singled out for having no zero latency monitoring, audio converters below par when compared with other manufacturers and low-gain, noisy preamps. Users are addressing the audio quality issues by either adding external converters from the likes of RME and Apogee to the digital I/O of their Digidesign interfaces or having companies such as Black Lion Audio modify their internal workings. However neither of these solutions address the latency issue although we’ve found one add-on that does – using an RME Fireface audio interface as an external AD/DA converter and monitor mixer. If you’re already familiar with all the issues surrounding zero latency monitoring, feel free to skip ahead but here follows a breakdown for those new to the topic. Imagine you are a singer who is recording though a Digidesign 003. You have the mic in front of you and the backing track in your headphones. When you sing, you will hear your voice in your headphones, but only after it has gone down the firewire cable, been processed by Pro Tools, and sent back to the 003’s headphone sockets. All of this causes a noticeable delay, and it makes it really hard to deliver a performance. 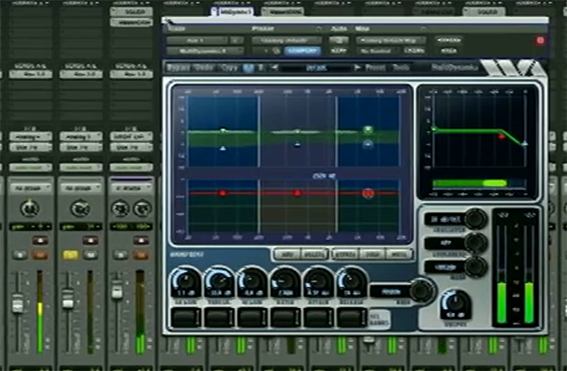 The length of the delay depends upon the buffer size set in Pro Tools, the speed of the computer and whether or not there are any plug-ins being used. You can reduce the buffer size to minimum, but that delay will still be noticeable. 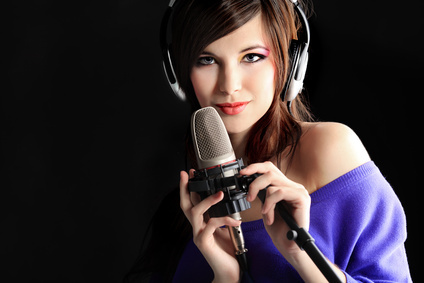 Other manufacturers produce audio interfaces which feature on-board routing that sends the mic signal directly to the headphones independently of it being sent to the recording software. However, Pro Tools LE can’t use anything other than a Digidesign interface, and only the small MBox products have this feature. Pro Tools LE does have a “low latency monitoring mode” that can reduce the delay to a useable level. 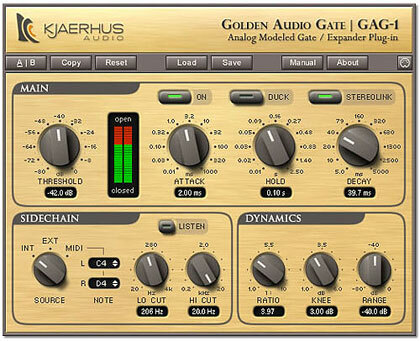 However, this comes at a cost – using it disables any auxes AND digital inputs in your session. So if you want to record through a specialist AD converter and sing over a backing made up of software instruments, you’re bang out of luck on both counts. Install the drivers for the Fireface and daisy chain it via firewire to the spare port on the 003. Connect the ADAT In of the 003 to ADAT Out of the Fireface via lightpipe and vice versa. Open the control panel for the Fireface, switch to the matrix view and check the appropriate boxes so that input 1 is routed to ADAT out 1, input 2 to ADAT output 2 and so on. Route the returning signal the same way, so ADAT input 1 goes to analogue out 1, ADAT input 2 goes to analogue out 2 etc. Doing this will allow the fireface to function as an AD and DA converter. Check the appropriate boxes so that analogue inputs 1-8 are also sent to both Phones L and Phones R. Now you’ve got a headphone mix of incoming signals. Change the I/O setup of Pro Tools so that your main output path is now ADAT 1-2. Your mix will be sent out of ADAT 1-2 and the Fireface routing matrix will send it to the speakers. Now, whatever you plug into any input of the RME will be recorded via the corresponding ADAT input of the 003. For example, you can plug a mic into mic preamp 2 of the RME and you’ll be recording it in Pro Tools via ADAT In 2. If it helps, you can always rename the inputs in the Pro Tools I/O setup page to make it clear, and even disable the 003 analogue inputs if you’re not going to be using them. Go to Pro Tools Preferences > Operation and uncheck the “Link Record and Play Faders”. 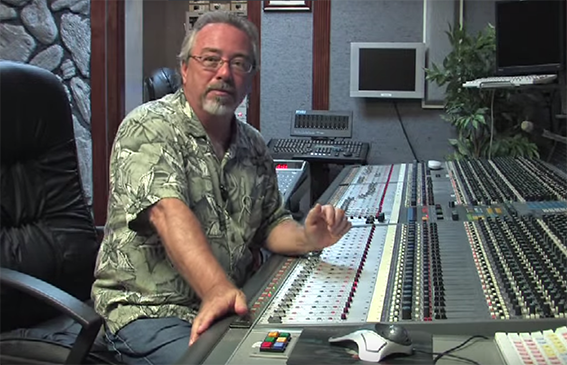 When you’re recording from an input on the RME, you’ll hear your source twice – once in realtime through the RME and as a delayed signal through Pro Tools. This will get really disconcerting unless you mute the volume of the track you’re recording onto. Unlinking Record and Play Faders means you can set the faders of all tracks to zero when they are record armed and they’ll return to normal when you’re not recording. Pro Tools will remember this state too, so whenever you go into record they’ll re-mute. Neat, huh? Better quality AD and DA conversion. If you want an example, just import some audio into Pro Tools and compare the difference between playing it back through the 003s own analogue outputs and via the RME outputs via firewire. You will hear a wider more detailed stereo image, and a greater frequency range too. Zero Latency monitoring. At least from the RME’s inputs. Better mic preamps. The RME’s digitally controlled mic preamps offer more gain, lower noise floor and more headroom than those in the unit. What you are not doing is replacing the Digidesign 002 or 003, or using the Fireface as an interface that works with Pro Tools. Despite being an audio interface, we are using the Fireface as a standalone AD/DA converter to augment the inputs.